Range of Light Photography | How Big is Big? 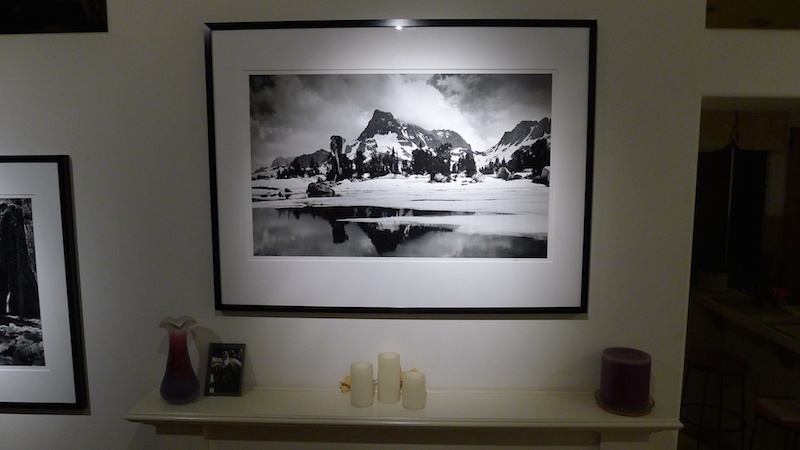 Range of Light Photography | Fine Art Prints | How Big is Big? How big is big? Pretty big as it turns out. 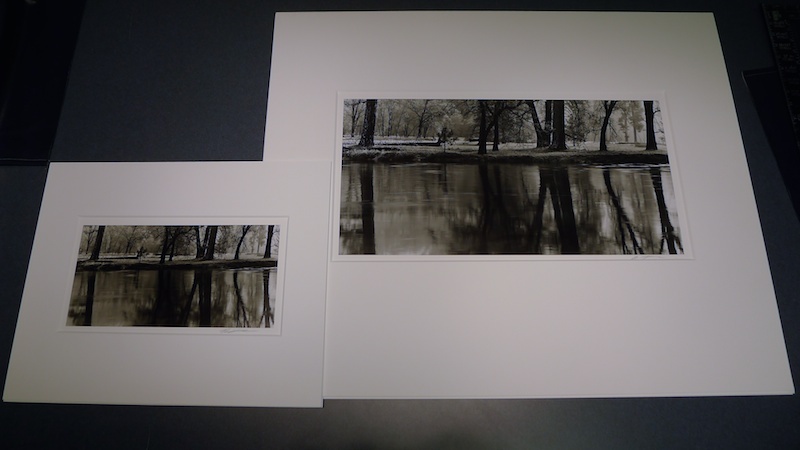 Most remaining classical fine art printers print no larger than their largest negatives, prefering the immediacy and intimacy of contact printing. Among the few remaining craftsman who still enlarge negatives, something beyond 16"x20" is rare, and even 11"x14" can be huge for some. 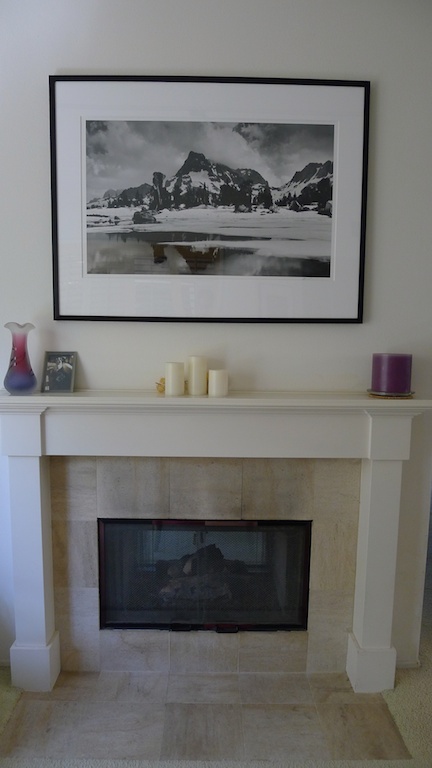 Most Range of Light fine art prints are offered in five sizes, from 11"x14" to 30"x40", depending upon the negative. 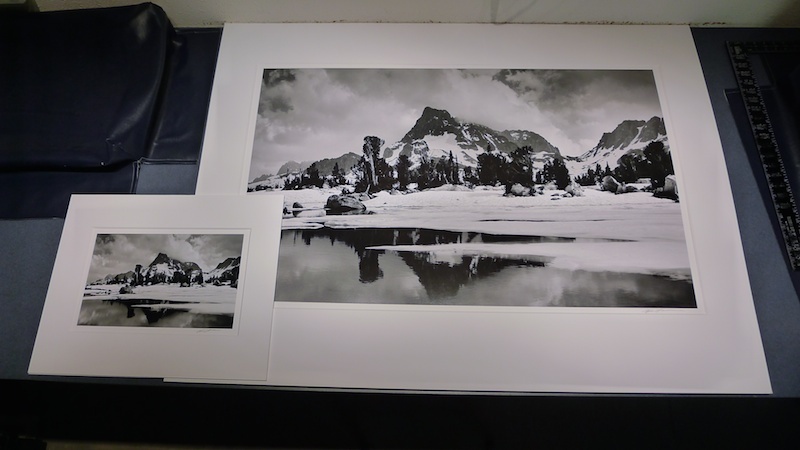 As I mounted* my latest widescreen (3:5 aspect ratio) print, the incomparably beautiful "Banner Peak Clearing, Island Pass", to its maximal 40" mural size, it occured to me that a visual range comparison to my smallest 14" size, might be enlightening. 8 1/4"x13 1/2" (14" nominal longest dimension) versus 23 1/2"x38 1/2" (40" nominal longest dimension). Mat/Window sizes are 16"x20" and 36"x48", respectively. Here's another comparison between panoramas (1:2 aspect ratio) of 7x14 (nominal 14" longest dimension) and 11 1/2" x23" (nominal 24" longest dimension). 8 1/2"x13 1/2" (14" longest dimension) versus 24 1/2"x38 /2" (24" longest dimension). Mat/Window sizes are 16"x20" and 28"x34", respectively. 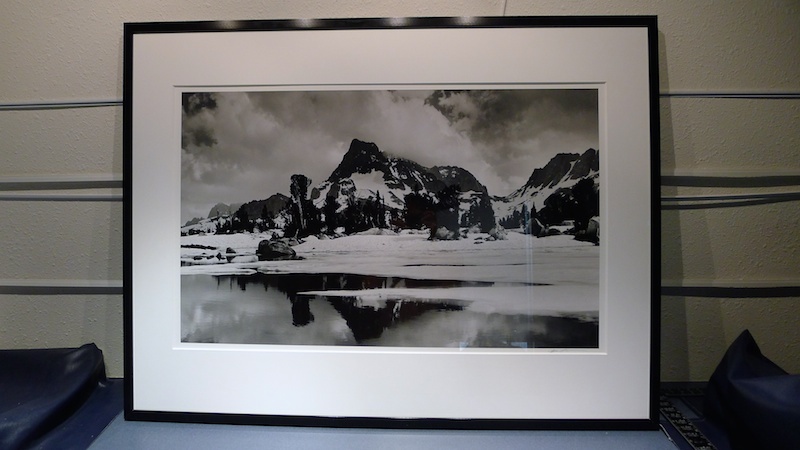 36"x48" frame completes the final presentation. Sometimes, a specialized blank space simply demands a larger specialized work of art, both in content and size. 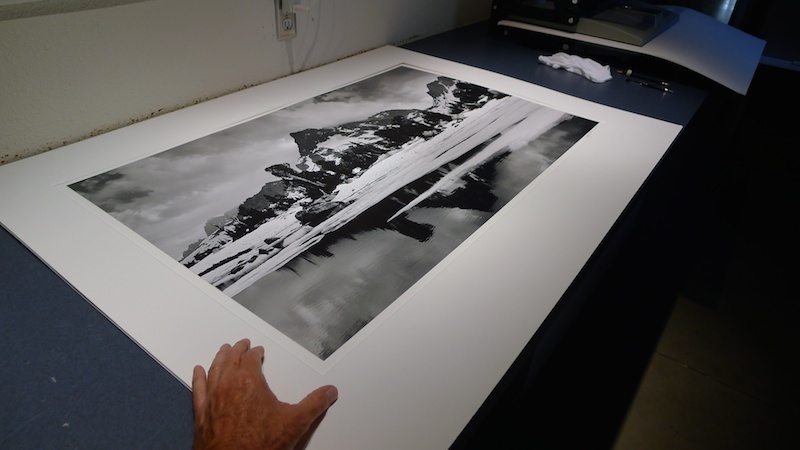 * All Range of Light fine art prints offered commercially, are mounted to acid free archival rag museum board with dramatic 8-ply beveled window, ready for framing. As a reminder, all Range of Light fine art prints are limited to editions of no more than a total of 100, inclusive of size.